I was craving burgers yesterday so I decided to make some bunless ones! My two all-favourite toppings to include are caramalised onions & halloumi cheese but these are optional of course and you can play around with whatever toppings you prefer. They turned out amazing. The key to juicy crispy burgers is making sure your pan is very hot so that you can get a nice sear on your meat to lock in the flavours. Of course using a BBQ to cook them on is always a great option too! And my last tip is that you should definitely make extra meat patties, as they make excellent leftovers, & and are even great eaten cold the next day. Heat a medium pan to medium-high heat. Add 1 tablespoon of coconut oil, once melted add in thinly sliced onions. Saute on low heat until lightly caramelised, stirring occasionally (about 10-15 minutes). Add in balsamic vinegar. Saute for another 10 minutes, stirring occasionally. Set aside. Form six burgers with the lean ground beef. Heat a large pan to medium-high heat. Add in 1 tablespoon of coconut oil. Place the burgers in the skillet and saute each side for 3-5 minutes (depending on your desired doneness). Remove from pan and let them sit for 1 minute. To cook the halloumi, heat a medium pan to medium heat. Add a small amount of coconut oil to the pan. Cook the slices each side for 1 minute or so until they are lightly browned. Set aside. 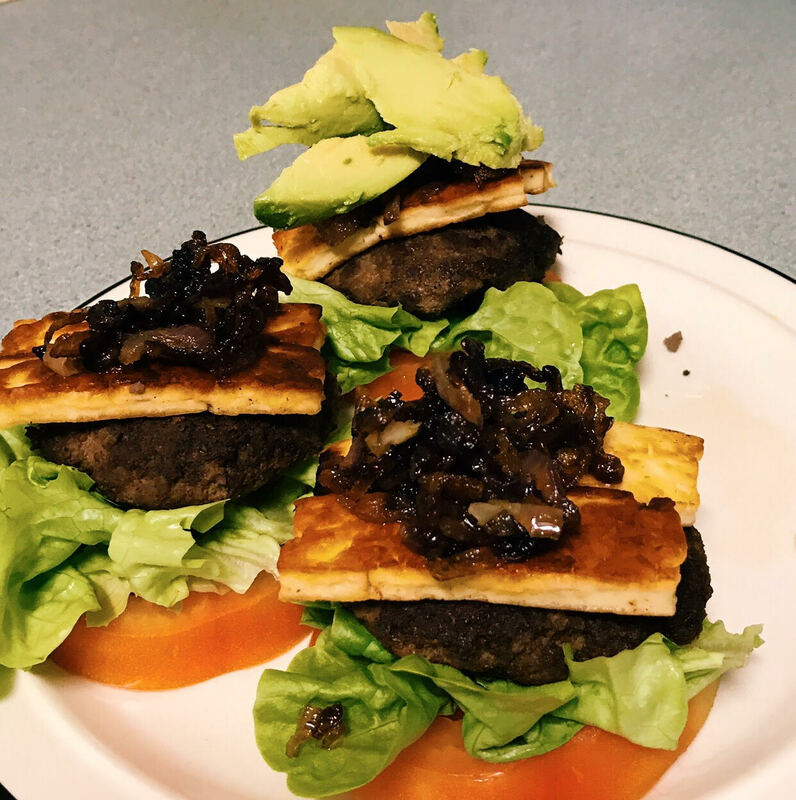 Place 1 large slice of tomato on a plate, top with a piece of lettuce, the burger, 2 slices of halloumi cheese, 1 tablespoon of the balsamic caramelised onions, and top with sliced avocado (I put ¼ an avocado on each burger). Serve with mustard or whichever sauce you prefer. What is all the fuss about the 'macros diet'?